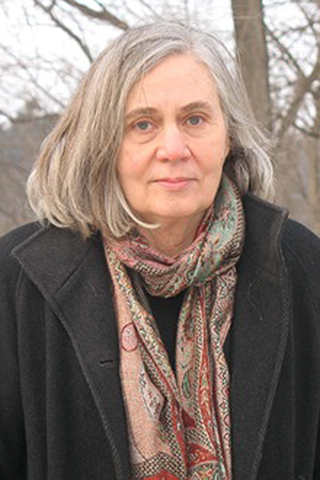 Marilynne Robinson, renowned author and F. Wendell Miller Professor of Creative Writing at the Iowa Writers’ Workshop, will retire at the end of this semester after teaching for 25 years at the program. During her time at the Writers’ Workshop, Robinson taught hundreds of writers, including Pulitzer Prize winner Paul Harding and current University of Iowa Assistant Professor of Creative Writing Ayana Mathis. She has won the PEN/Hemingway Award for her first novel, Housekeeping; the Pulitzer Prize and the National Book Critics Circle Award for Gilead; the Los Angeles Times Book Prize and the Orange Prize for Fiction for Home; and the National Book Critics Circle Award for Lila. She is also the author of five critically acclaimed books of nonfiction. Robinson is the recipient of numerous national and international honors, including the National Humanities Medal (2012), the Park Kyong-ni Prize (2013), and the Library of Congress Prize for American Fiction (2016). She was recently named one of Time magazine’s 100 Most Influential People. Upon her retirement, Robinson will assume the title professor emerita. She plans to continue writing fiction and essays and traveling to speaking engagements around the world.